Treat yourself to something special…something wonderfully unique. We are expecting these in any day in cowhides and Navajo wool rugs in turquoise, burgandy red, black, and chocolate brown. Would be an exceptional Christmas gift! "How many cheap, flimsy, mass-produced bags do we need? 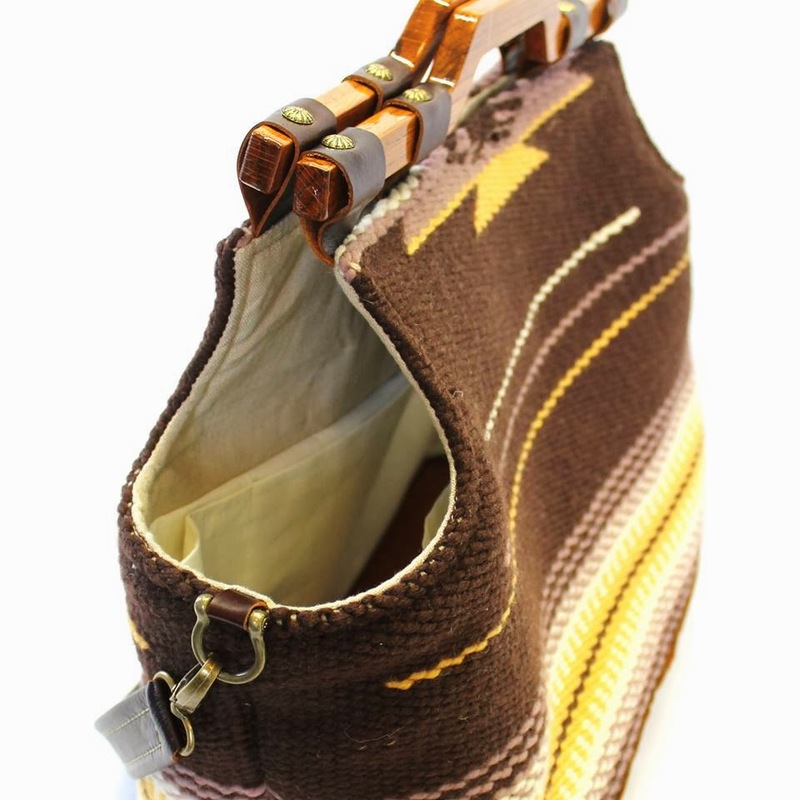 In the winter of 2010, I decided that I wanted to make better handbags. I wanted to design an everything bag. Something that said different things to different women. It had to be, first and foremost, well-constructed and made with exceptional materials. Then it had to be beautiful and multi-textured. I started with thick piled fabrics, then I added luxurious leather and topped them off with hand-carved, solid oak handles. Next was functionality. I inserted a wood bottom…no more folding up…no smashed fruit and veggies…no broken eggs…no purse items lost in a dark abyss. I designed a bag that could carry anything! A computer, lunch, a change of shoes, diapers or groceries. One size small enough for an evening out, all the way up to a bag large enough to pack for a weekend getaway." Everything’s bigger in Texas and this oversized handmade handbag is no exception! 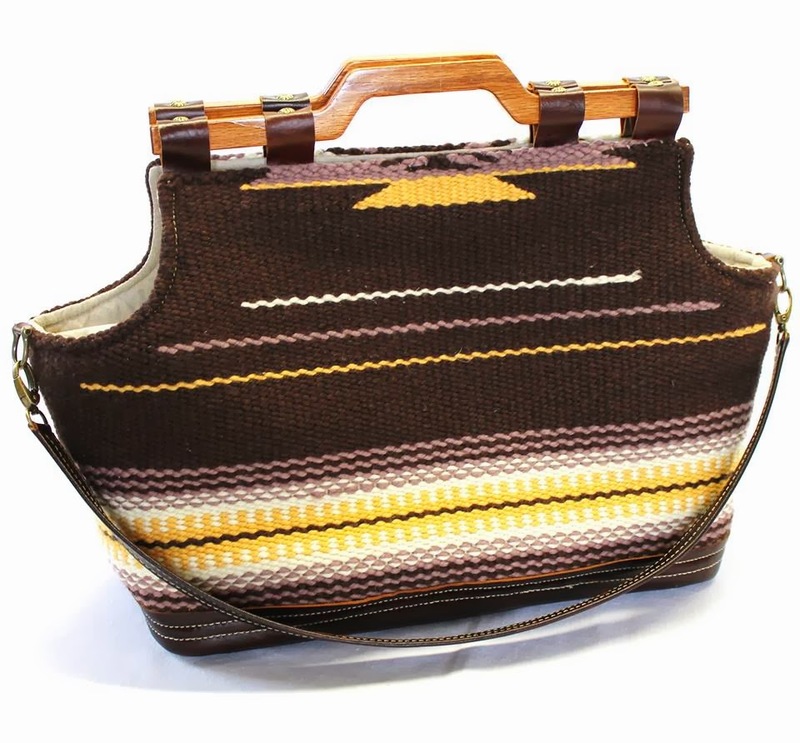 Big space meets big personality with this handmade Navajo Rug Bag, in an attractive design that exudes style and fuctionality. “The Whole Shebang” is greatness achieved.